Research from YouGov on behalf of Priority Pass™, the original and market-leading airport experiences program, shows that travellers in Wales spend an average of £1,685-a-year on 'wellness tourism', more than any other region in the UK. In total, the wellness tourism economy is estimated to be worth £9.7bn-a-year in the UK alone. The data reveals the average amount wellness holidaymakers across the country spend on their getaways every year. 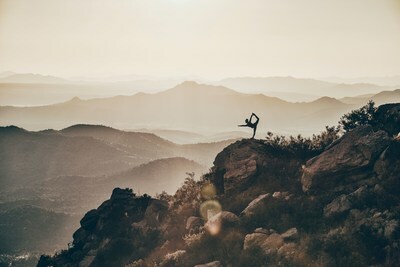 When combining the average amount spent on domestic spa breaks with the cost of wellness holidays abroad such as yoga retreats, it's Welsh people (£1,685) who top the charts. They are followed by Scots (£1,426) and people living in the South East (£1,340), with those residing in Yorkshire and the Humber spending the least at £655 per year. Priority Pass' study also highlights the widespread popularity of more experience-based holidays, with over two in five (41%) Brits heading away on at least one domestic spa break or golfing holiday a year, and one in 20 (5%) jetting off for healthy holidays overseas. The research also shows the increasing demand for a "complete wellness experience", where relaxation doesn't start and end at the customer's destination, but is an all-encompassing experience. Travellers in the UK noted that if they were to travel, an upgraded flight (57%), fast track security (51%), and lounge access at the airport (37%) are the top three extras that would make their journey more enjoyable. Andy Besant, Director of Travel Experiences at Collinson, which operates Priority Pass, said: "We are seeing an increasing trend in people wanting to take extra care of their wellbeing, which is influencing how consumers choose to spend their money. People now expect every part of their holiday to be stress-free and we are proud to offer airport lounges and other airport experiences such as dining and spa that work together to provide the perfect setting to unwind and relax, right from the off." Priority Pass is the original and market-leading airport experiences program. It provides discerning frequent travellers access to over 1,200 lounges and airport experiences in more than 500 cities across 143 countries, including access to a growing number of airport dining and spa offerings worldwide that can be accessed in the same way as lounges. Using the Priority Pass app for iOS and Android, Members can quickly and easily discover locations welcoming Priority Pass, instantly check their visit entitlement and use their Digital Membership Card to access airport lounges and experiences. Priority Pass is operated by Collinson, a global leader in customer benefits and loyalty. Collinson delivers exceptional travel, assistance and insurance products that differentiate value propositions, and loyalty solutions that win deeper, more valuable customer relationships. For over 30 years, we've been chosen by the world's leading payment networks, 600+ banks, 90+ airlines and 20+ hotel groups to craft customer experiences that win competitive edge. This enables them to acquire, engage and retain the most profitable, but most demanding customers.